Earn $9.19 in VIP credit (919 points)What's This? 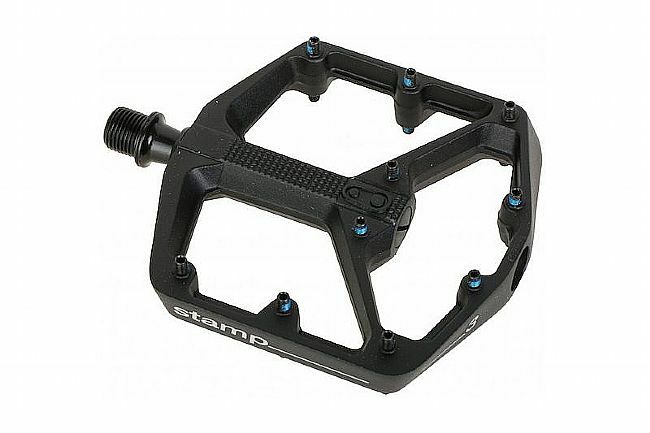 The Crank Brothers Stamp 3 Pedal is the do-it-all platform pedal of choice for riders of all skill levels. Designed for durability and precision, the Stamp is available in two sizes to ensure a catered fit. The Large works best for riders with feet larger than size ten, while the Small is good for feet sized five to ten. Constructed from 6061-T6 aluminum, the Stamp maintains its durability through unexpected impacts with rocks, roots, or other trail obstacles. 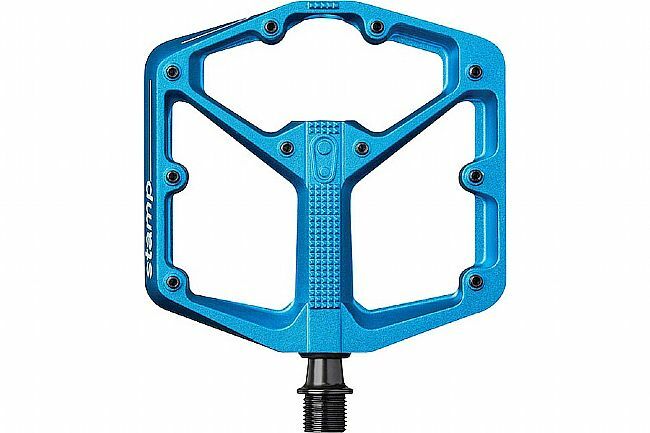 Inside, a premium bearing and seal system keeps all the mud, dirt, dust, and grime from slowing these pedals down over time. Ten adjustable traction pins per side deliver customizable traction. With a 16-millimeter thick profile, the Stamp's dive into technical trails with plenty of room.